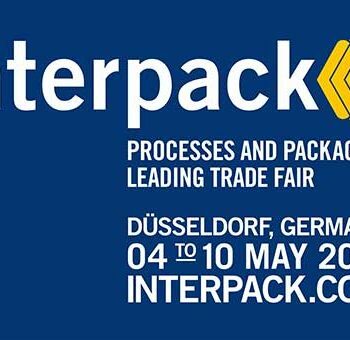 LeMatic’s legendary Bulk Packer has set the standard for fast and dependable bulk packaging. But not everyone needs the capability to process over 1000 buns a minute! That’s why we designed the new LS3. 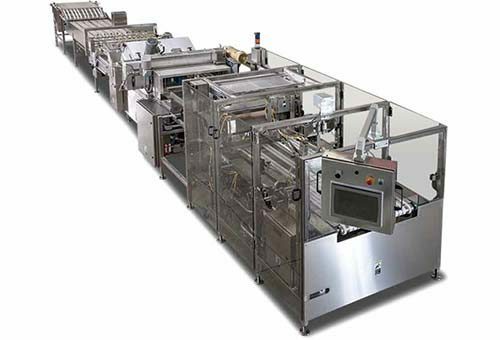 Perfect for small to midsize bakeries, it has the quality you expect from LeMatic at an attractive cost. As part of LeMatic’s on-going commiment to support for the life of your machine, we are pleased to present two important upgrades that will increase efficiency and your bottom line! LeMatic’s new seal bar design offers the precise heat control and incredible speed of impulse sealing technology, with the added benefit of a narrower transfer to allow for running smaller product across the bar. The new Impulse Cross-Seal bar requires a minimum of 2” product for optimal transfer, over 30% reduction compared to the previous design. • Must have Ethernet-enabled AB Compact Logix PLC. • Must have AB PanelView+ HMI. 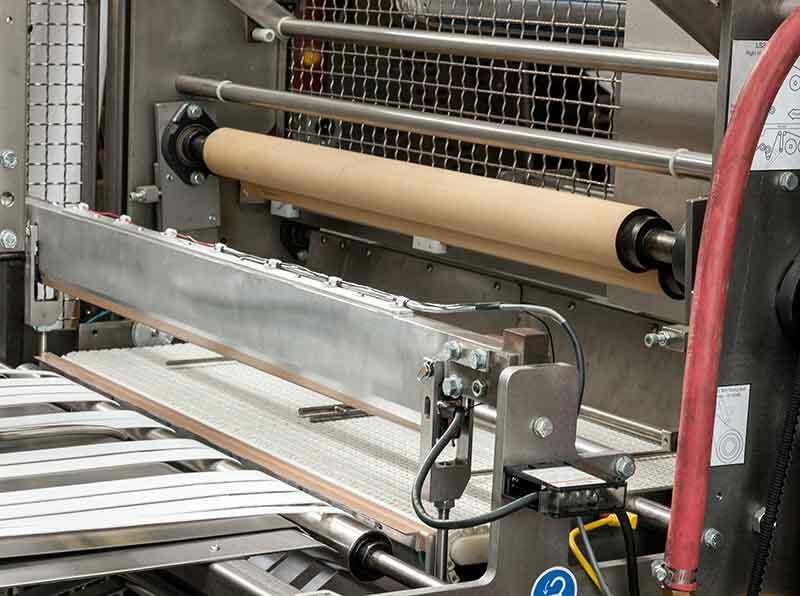 LeMatic now offers Pneumatic Film Spindle kits for existing LS3 and LS132 Bulk Packers! 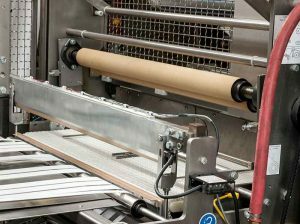 The spindles expand to hold the film in place without damaging the cardboard core, and allow for use of plastic cores. 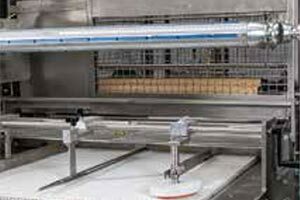 The Pneumatic Film Spindles allow for 1-1/2” of lateral fine adjustment without releasing pressure, which means the film can be adjusted while the machine is running.